It’s interesting to see the debate of who would win if Jason Bourne ever met James Bond. These two literary constructions would be fascinating if ever they were on the same page. Mind you, as far as what they are in on the actual page, by Robert Ludlum (Bourne) and Ian Fleming (Bond) they are entirely different on the big screen. I will not focus on the literary creations but on the ones on the silver screen. I think this would be more fun. Jason Bourne: Rugged, gritty, and unrefined. Habitually monogamous. Casually dressed. Relies heavily on intelligence and quick-thinking. James Bond: Suave, debonair, and sophisticated. A habitual womanizer. Impeccably dressed. Relies heavily on his charm and fancy gadgets. Bourne suffers from amnesia and he spends the trilogy (Bourne Identity, Supremacy and Ultimatum) piecing together his history. Along the way we learn his real name (I won’t mention it for those who haven’t watched the trilogy yet—what are you waiting for people?). Bond doesn’t have the same problem as Bourne. Or maybe he does and in order to remember his name he repeats it. What’s interesting is he’s a spy with no need of introductions but he still does it, twice! Bourne blows up things only when it is absolutely necessary, whereas Bond will detonate a building because, well, he’s James Bond, and he can. 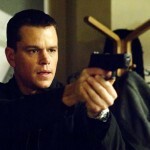 Bourne will avoid killing someone, instead will either knock them out, shoot them in the leg, or just break a bone or two (but nothing fatal), whereas, Bond will shoot to kill, his favourite: the hard-working employees of the super-villains (those poor souls who show up with machine guns but never once manage to hit Bond). The big question is who would win if they were to go head to head? If I were a betting man I would say Jason Bourne, hands down. Here would be the scenario. 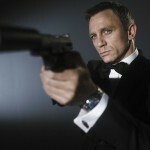 Bond enters the room, dressed in a tuxedo, and announces he is James Bond, twice. He gets himself a drink, Martini, shaken not stirred. He spots a beautiful woman and charms her. As he’s heading back to his room, unknown to him, a man has broken into the building through a window on another floor. He procures a ball point pen, which he’ll easily be able to pass through security (if the building had one). As an inebriated Bond gets to his bedroom door a man swiftly moves past him, and with the ball point pen, stabs him in the thigh and neck, and disappears, perhaps, scaling down the outside wall of the building. With his major arteries severed Bond is rendered incapacitated. Now this may seem like a diss to James Bond, but believe me, it is not, James Bond is the epitome of longevity—a character who has endured decades of change. Now why is that? The simple answer is: James Bond is a male fantasy. 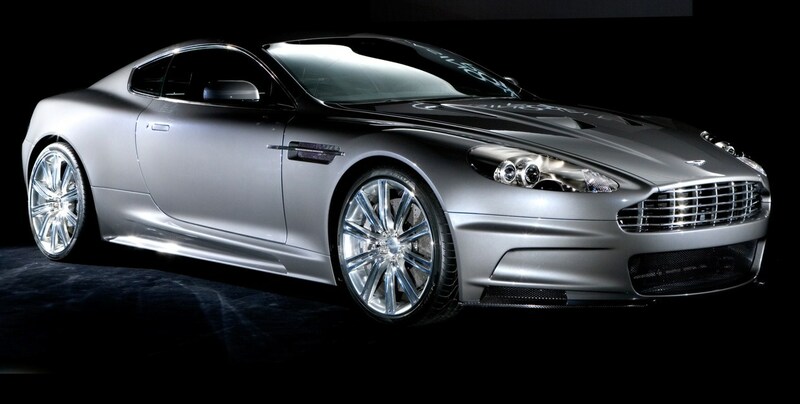 The common man wants to be James Bond. He dresses well, he beds beautiful women, he kills with no repercussions, and he has all the fancy toys anyone could ever want. Who do I prefer? I will have to say Jason Bourne. Bourne feels real, there is something relatable about him. He could be a spy in today’s fast-paced, complex and paranoid world. He would survive any situation thrown at him.